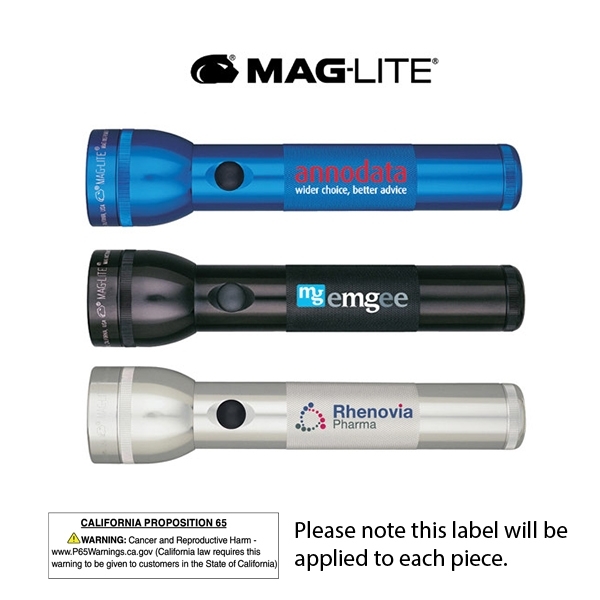 Light up your next marketing campaign with the S2D Mag-Lite! This handy flashlight measures 10", comes in a chipboard display carton and includes a spare bulb in tailcap. The product requires two D batteries, which are not included. Made right here in America and available in standard colors. Make the investment complete with a company name or logo imprinted for distinction and exposure. Size: 10 " x 2.1875 "
Ship Weight:12 lbs, Approx. 12 lbs./12 pcs.